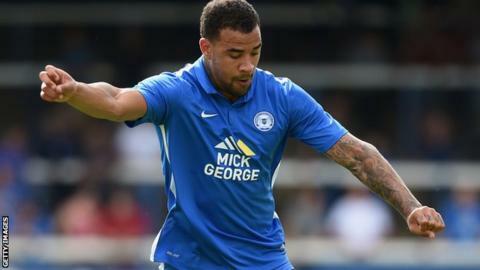 League Two strugglers Dagenham & Redbridge have signed Peterborough United forward Kyle Vassell on loan until 2 January. The 22-year-old joined Peterborough from non-league Bishop's Stortford in November 2013 and had a loan spell at Oxford United last season. Vassell has made seven appearances for Posh this season without scoring. "Kyle will give us more competition for places up front," Daggers boss Wayne Burnett told the club website.